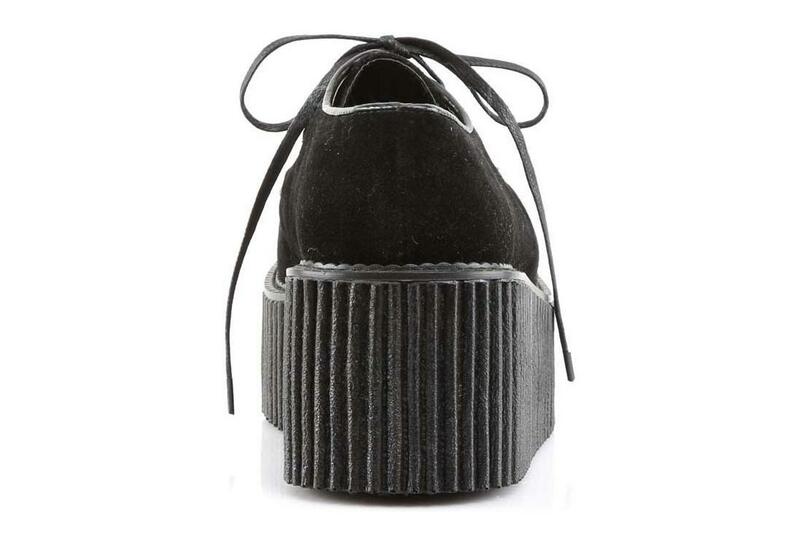 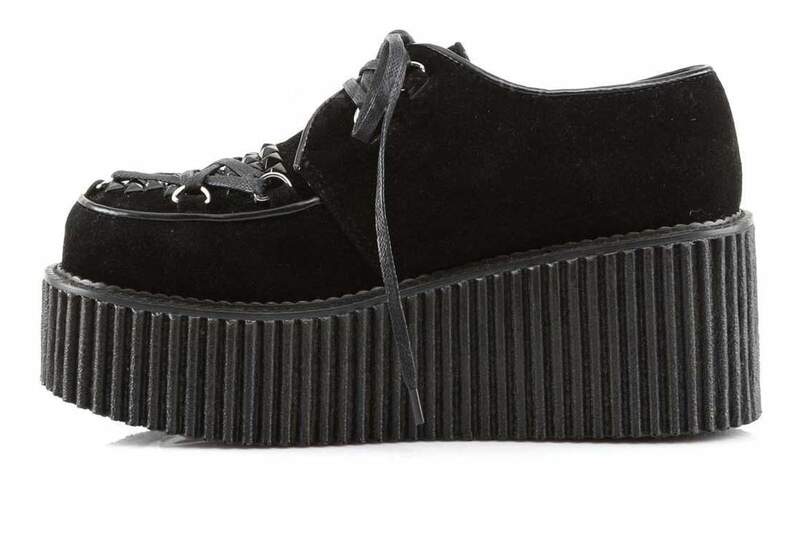 Black veggie suede creeper shoes with a 3 inch platform. 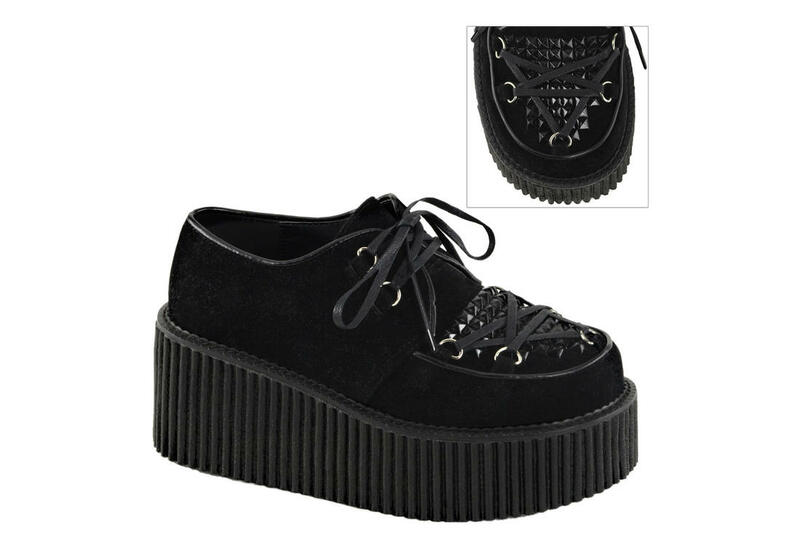 Features vamp embellishment with pyramid studs on the toe, d ring lace up and pentagram and piping detail. 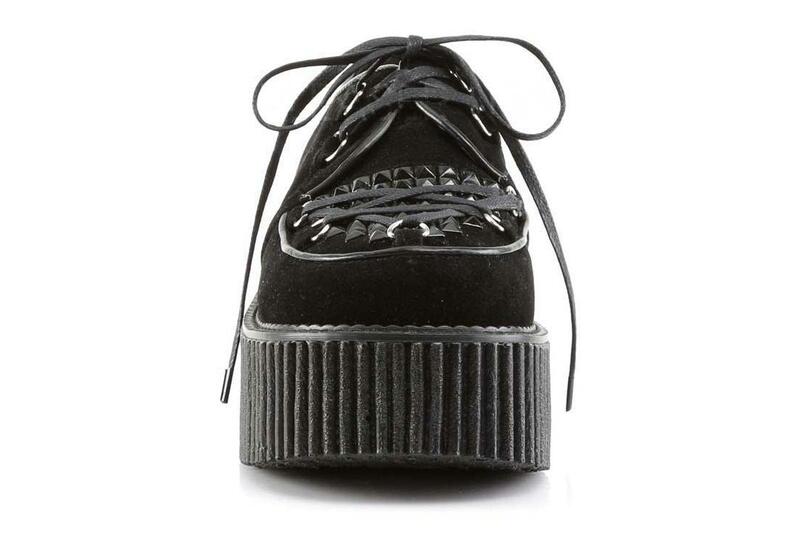 Flat waxed lace up closure.